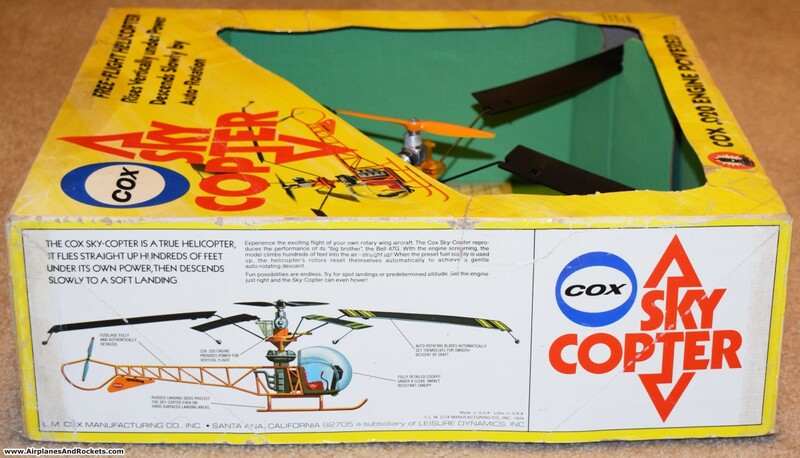 In the late 1960s when I received a Cox Sky Copter for Christmas, there was very little in the way of commercially available flying model helicopters. 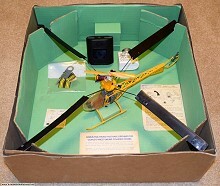 Victor Stanzel sold its tethered ElectroMic "Copter" that was powered by a pair of "D" cell batteries. 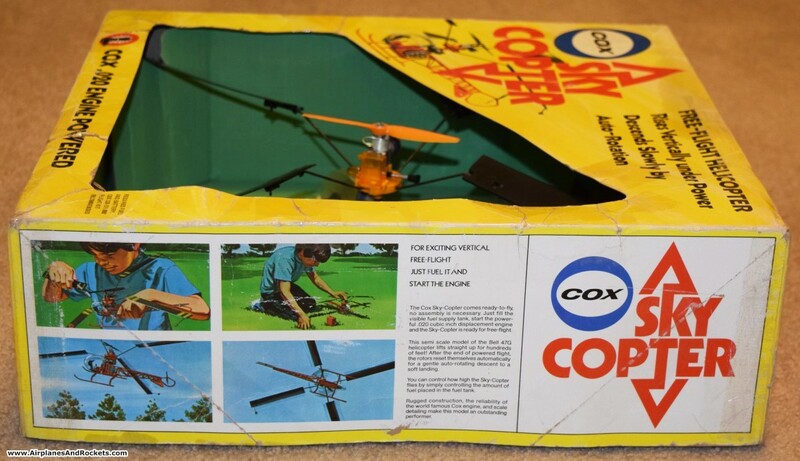 As far as I know, Cox made the only nitro fuel powered free flight helicopter named "Sky Copter." 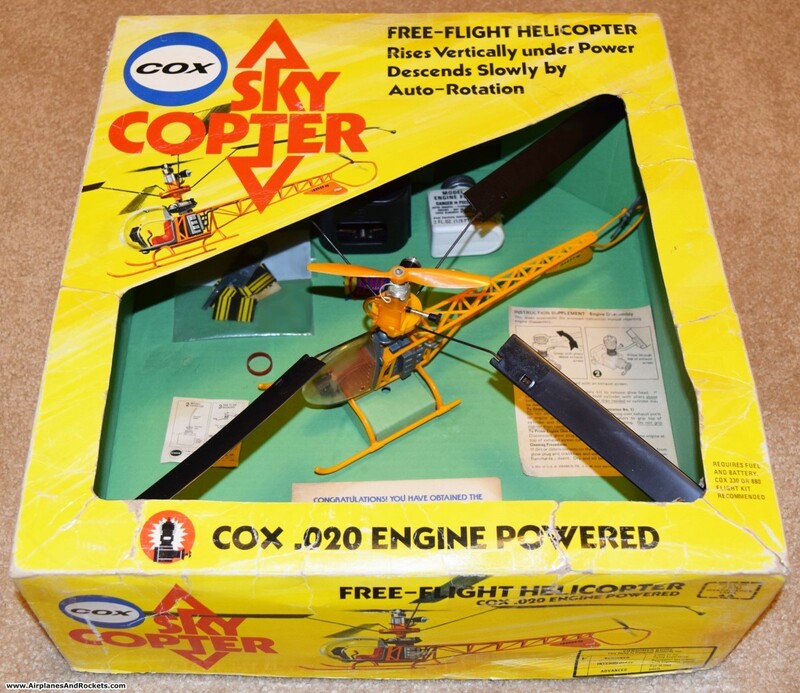 It was powered by a Cox .020 engine mounted to the top, center of the main rotor shaft, and caused the rotors to turn due to the counter torque cause by the propeller on the .020. It worked very well. After getting the engine started, you would give the rotors a spin in the clockwise direction (looking down from the top), and the gently push the model straight up. 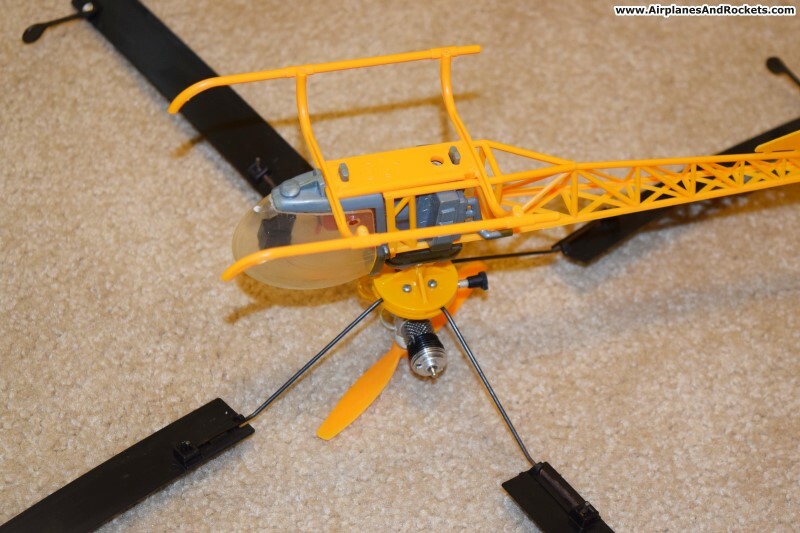 My guess is that most of the lift was provided by the engine's propeller pushing air down, and that the spinning rotors served primarily to stabilize the model during powered flight. 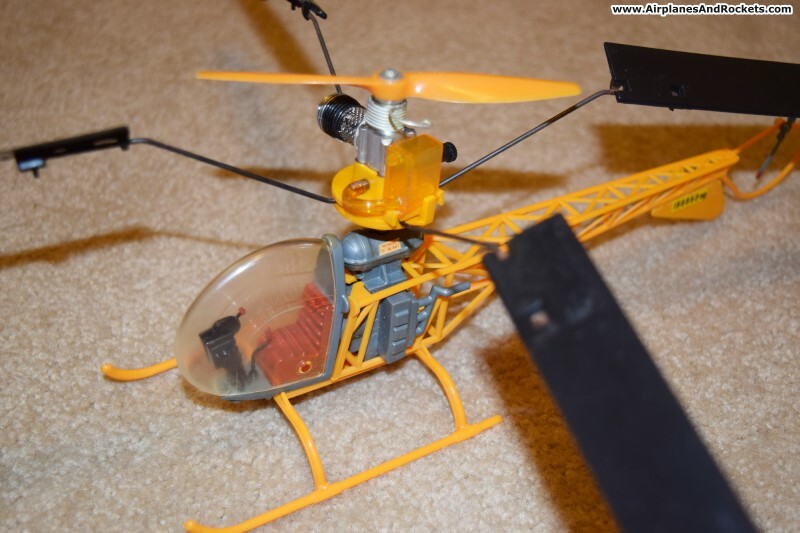 Once the engine quit, the spinning rotors essentially went into a counter-rotation mode to gently bring the Sky Copter back to terra firma. See the Evening Capital newspaper edition from the Christmas I received the Cox Sky Copter. 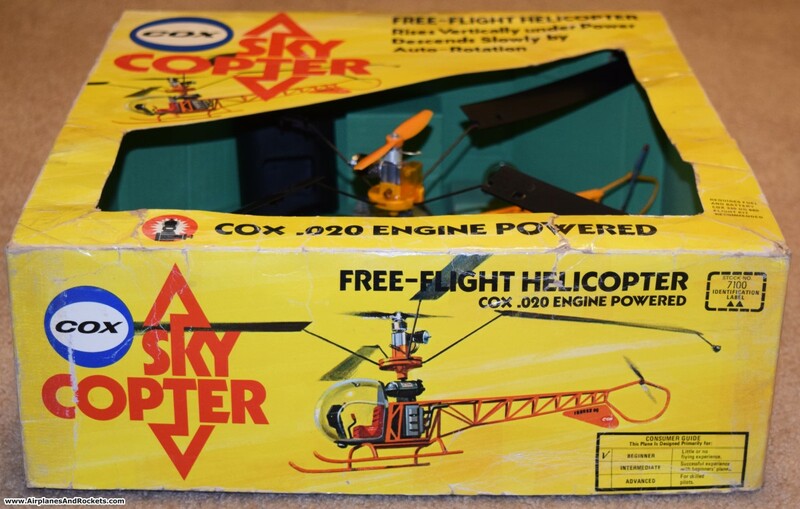 This model is in like-new condition and does not appear to have ever been flown. It still has the fuel bottle (empty), starting battery box (empty), and engine wrench. It appears to be flyable.